I’m very happy and excited about this post. It’s the very first guest blogger at All’s Fare. 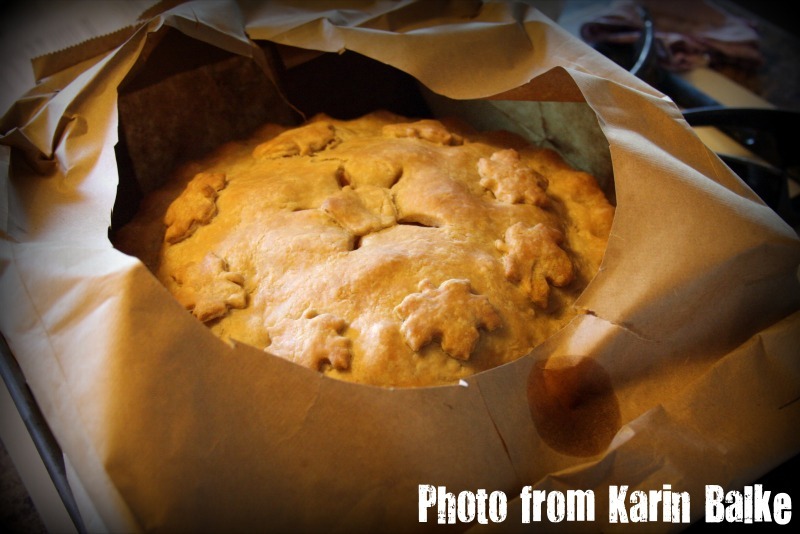 A few weeks ago my friend Karin Balke posted pictures of her Do-It-Yourself Apple Pie baked in a paper bag. Since her and her family live outside Wisconsin, they can’t enjoy the special treat from the Elegant Farmer in Mukwonago, Wis., as frequently. Her pictures were just so gorgeous and the tale of how the recipe came to be just so fun (and perfect for the fall season) that I asked her to share her story with readers. I hope Karin will come back in the future to share more of her baking and cooking adventures! My husband and I bought a bushel of Macintosh apples from a local orchard in Corvallis, Mont. That’s right, 48 pounds of apples! What better to do with those apples than make a pie. 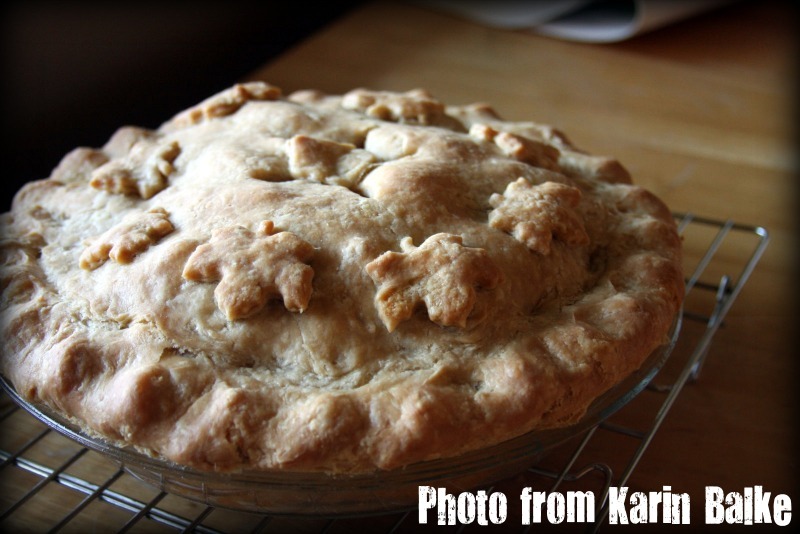 And, if you are going to make a pie why not try to make the best…an Elegant Farmer apple pie. 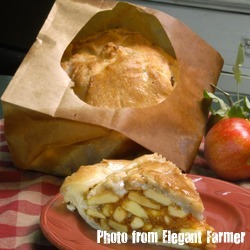 The Elegant Farmer is located in Mukwonago, Wis., and is noted by Gourmet and the Wall Street Journal as having “the best pie in America.” The award-winning Apple Pie Baked in a Paper Bag has been the farm’s signature item for decades. They bake more than a quarter million pies each year. After many searches on the Internet to find their “secret recipe,” I came across a few claiming to be it. Download a printer-friendly version of the full recipe. Make the crust. In a food processor combine the flour, sugar, and salt. Add the butter and pulse until pea-sized pieces appear. Add the water and pulse briefly—it will still look crumbly. Transfer the crumbs to 2 pieces of parchment paper or foil and form into 2 disks. Wrap the discs with plastic wrap and refrigerate overnight. dough, letting the edge hang over a bit. Roll the second disk, place it on a sheet pan and chill it until you’re ready to build your pie. Arrange a rack in the center of the oven and preheat to 375 degrees F.
Make the filling. 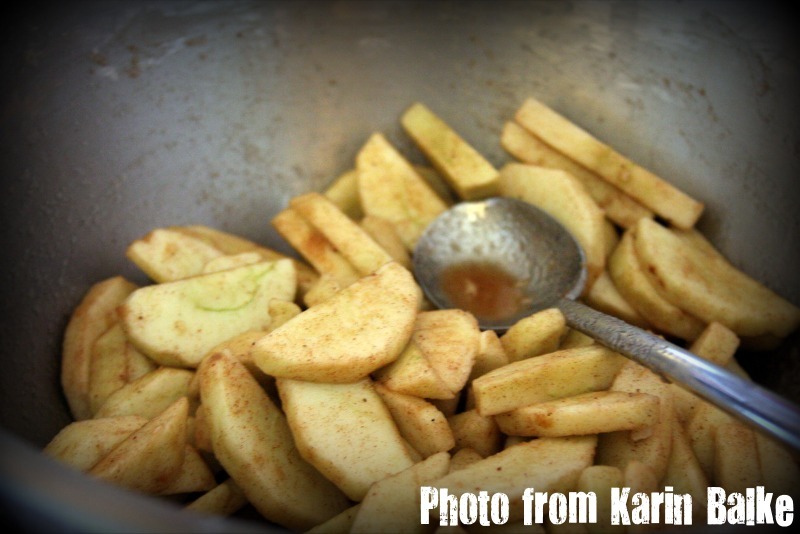 In a medium bowl, toss the apple slices, sugar, cornstarch, lemon juice, vanilla, cinnamon, salt, and nutmeg together. Transfer to the pie shell and dot with the butter. 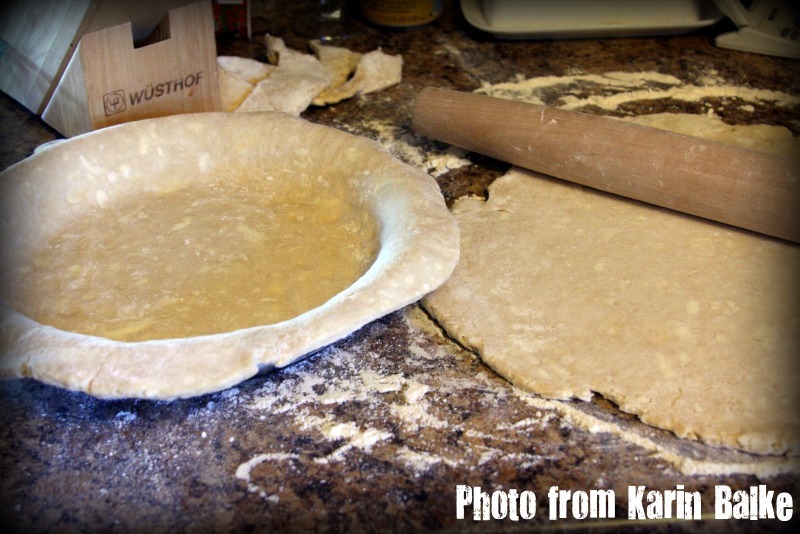 Brush the overhanging edges of the dough with water. Carefully cover with the rolled-out top crust and pinch the edges together, turning them under all around to make a thick edge. To decorate the rim, press it all around with the back of a fork, or just pinch it to seal. With a scissors, cut a few V-vents in the center. Slide the pie into the brown paper bag and fold the top down. Staple bag shut and place it on a sheet pan. Bake for 1 hour. 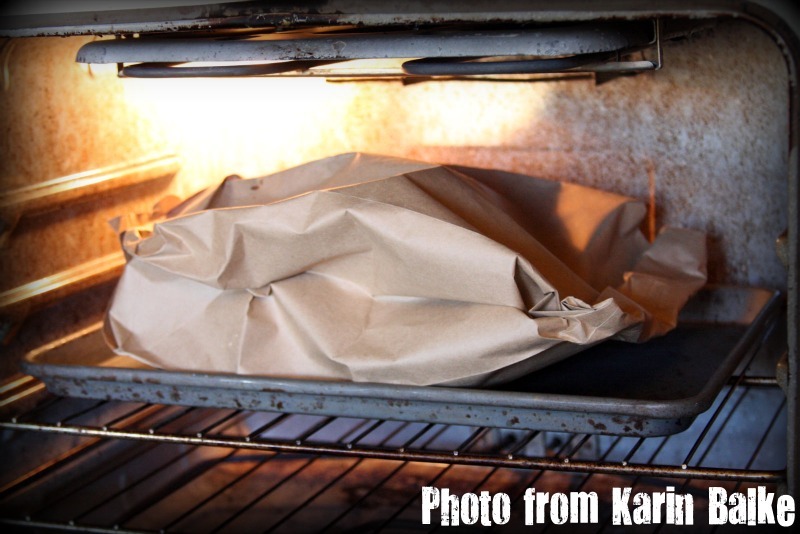 Remove the pie from the oven and cut a large circle in top of the bag. Return to the oven and bake until the crust is golden brown, about 15 minutes more. Let the pie cool at least 30 minutes before serving. Serve warm or at room temperature. Well, in the end I wish I would have used their crust recipe because mine only has 2 tablespoons of sugar and this recipe calls for a quarter cup! A bit of a difference that was certainly noticed. But baking the pie in the paper bag is the winning ticket! Besides thinking it was going to start a fire in my oven, something about that bag makes the apples just perfect and the crust baked superbly! They say the paper bag creates a crunchy top, and a light, flaky old-fashioned bottom crust. It also allows the apples to cook slowly, which makes them soft but helps retain the shape. It was also very nice not having to worry about the crust getting too dark while baking, and struggling with tin foil to cover the edges halfway through the baking process. Overall, this was a delicious pie. But I must admit, it was no Elegant Farmer pie. However, it will have to do for now since shipping one of their pies to my door would cost me $107.58! 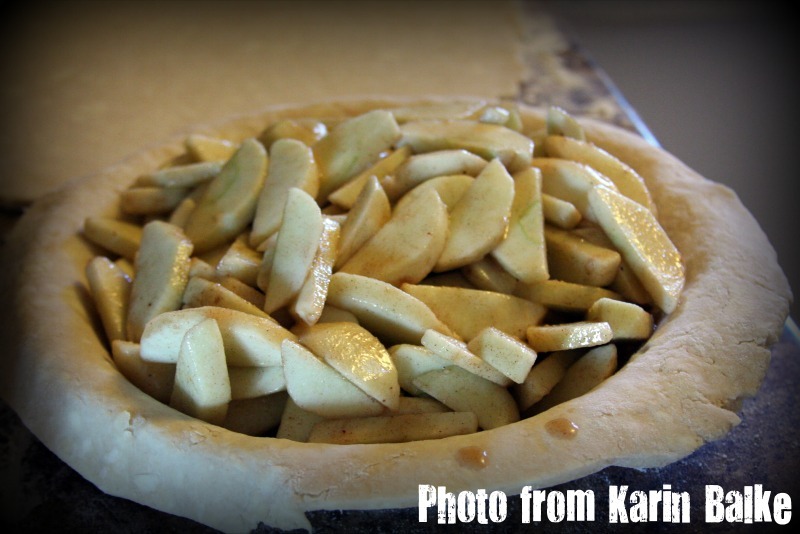 This entry was posted in Cuisine - American, Cuisine - Desserts, Places - Wisconsin, Recipes and tagged Apple pie, Elegant Farmer, Karin, Mukwonago, paper bag, recipe by Christina. Bookmark the permalink. I’m so proud of Karin. She’s my daughter. And, she didn’t learn her baking skills from me. Karin is SO talented! I’m glad she shared her experience and I can’t wait to hear more about her baking and cooking! I’m making a pie tomorrow. You’ve inspired me. Or I’m buying a pie tomorrow. Either way – I’m inspired. Yummy. 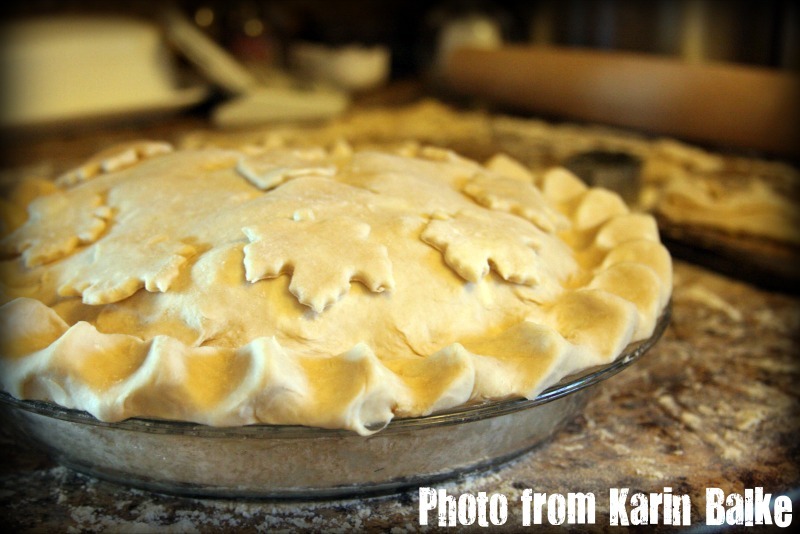 Gum Rapper and Dawn – Let me know how your pie baking goes! that looks so amazing! 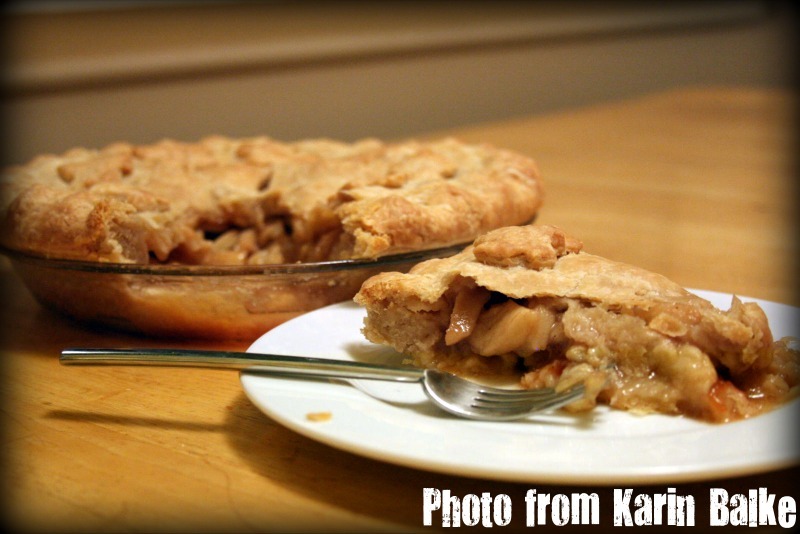 I really need to embrace pies–and make more of them! I’ve had the pleasure of trying the official Elegant Farmer pies and my favorite part is their special crumb topping. I can’t find this most important part of the reciepe. Does anyone have suggestions? Who knows if this will be read but the topping to the pie is streusel and not crust. It is a 1:1:1 combination of butter: white sugar: flour. (anywhere from 1/2 to 3/4 C for each ingredient). Some people use cold butter and make it very crumbly. I like to make it so you can put chunks on. Bake the same way in paper bag, Remember the book Fahrenheit 451? That’s the temp paper burns at. If your oven is not wrong when set at 425, you should be fine.